Dress with matching doll dress for 18" doll. 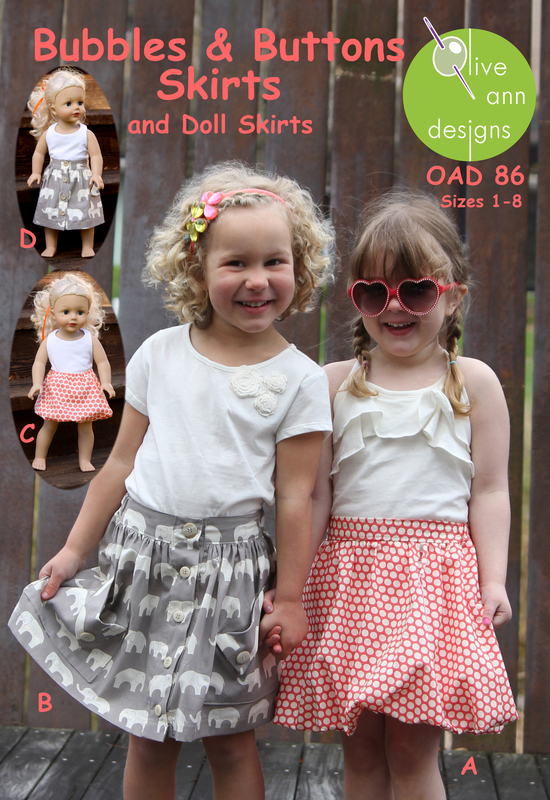 This adorable, pull-on dress is very easy to make and perfect for toddler to pre-teen. View A has a back tie that can be made into a bow or a stylish 'knot', inseam pockets, short sleeves and no buttons or zippers! Pleats in the back add a little extra fullness. 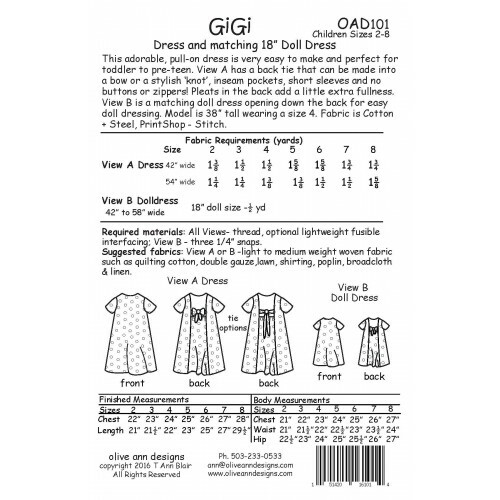 View B is a matching doll dress opening down the back for easy doll dressing. Model on the cover is 38" tall wearing a size 4. Fabric is Cotton & Steel, Print Shop Stitch.